US lawmakers aim to reinstate ban on ZTE undoing White House's negotiations with China. Following the Trump Administration's decision to work alongside Chinese President Xi Jinping to lift the US ban on Chinese tech giant ZTE, a group of Republic and Democratic senators have amended the National Defense Authorization ACT to reinstate the sanctions on the telecoms equipment manufacturer. The US Senate has now voted in favour of restoring the sanctions against ZTE in a move that is in direct opposition of President Trump's work to save the Chinese firm. This will completely undo the agreement between the US and China to remove the sanctions if ZTE pays a $1bn fine and institutes a new compliance department. ZTE's troubles first began in April when the US Department of Commerce imposed a seven-year ban on American companies from doing business with the Chinese company after it was caught exporting telecoms equipment to Iran and North Korea. ZTE relies heavily on US chipmakers for the parts used in its devices and the ban even led it to shut down production. US lawmakers have voiced concerns that China could possibly use devices made by ZTE or Huawei to steal data from the US, spy on American citizens and even launch cyberattacks against the country. 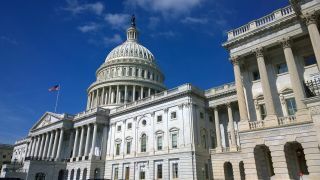 While the Senate has voted in favour of reinstating the ban on ZTE, the House would also have to get on board for the sanctions to be reinstated. The White House could also step in and prevent the bill from becoming a law. The Republican lawmakers behind the provision to reinstate the ban on ZTE are scheduled to meet with the President this week and we will likely learn more following their meeting.